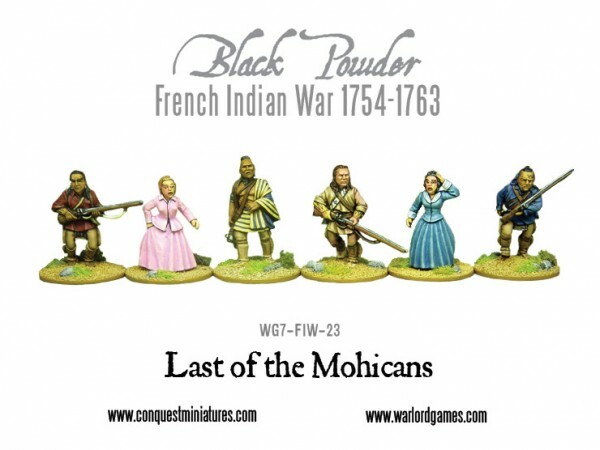 Just in case you missed these in the model news, Warlord Games have a distribution deal with Conquest Miniatures for their French-Indian War figures. Warlord are releasing them in the UK under the Black Powder brand. I’m not sure how they fit in with figures from Galloping Major and Crusader etc. Anecdotal evidence is that these figures are a little on the small side. When I get some in the flesh I shall update you further. Last of the Mohicans Character figures.